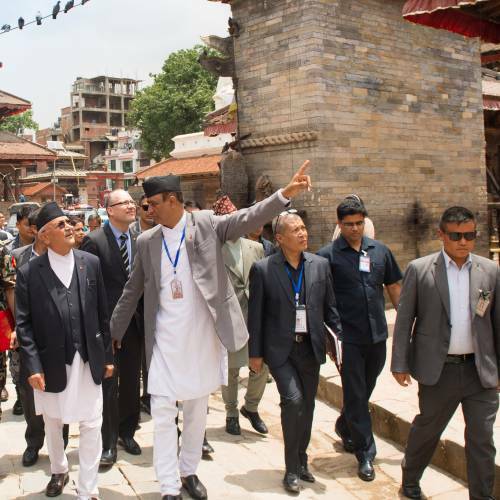 Nepal’s Prime Minister K. P. Sharma Oli inaugurated the newly reconstructed and seismically strengthened Gaddi Baithak in Nepal on June 27. 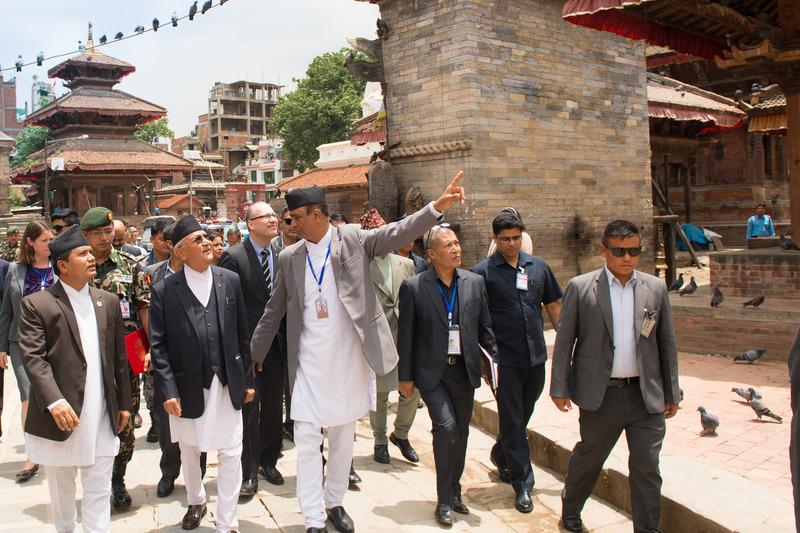 The former palace is part of the UNESCO World Heritage site in Kathmandu Durbar Square. 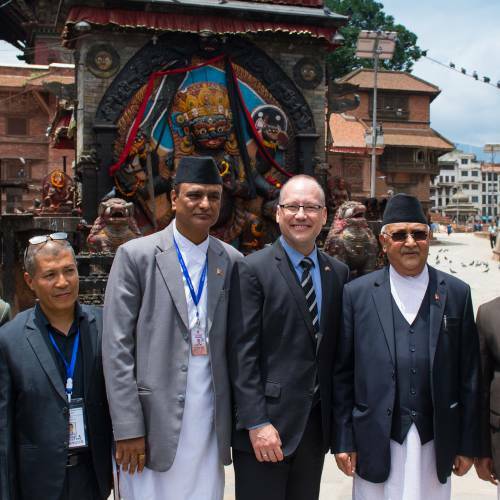 “We love our history and tradition,” the prime minister told the gathered crowd and dignitaries. “The historic monument has been retrofitted using domestic materials and has been restored…” back to its original condition. 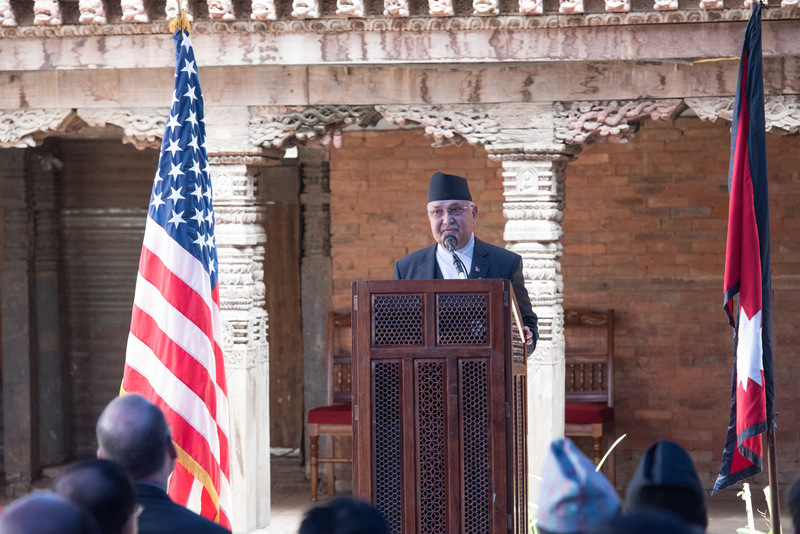 The project was managed by the U.S. Embassy in Nepal in partnership with the Government of Nepal. The $700,000 project was funded by the U.S. 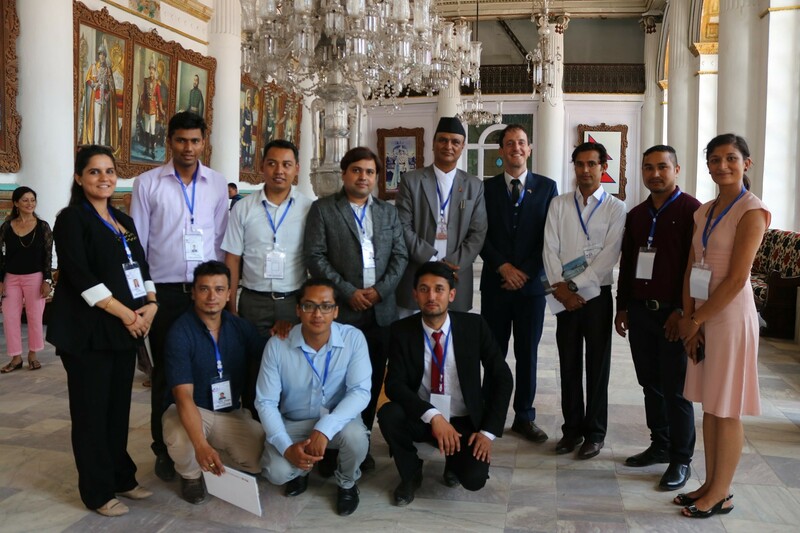 Ambassadors Fund for Cultural Preservation. 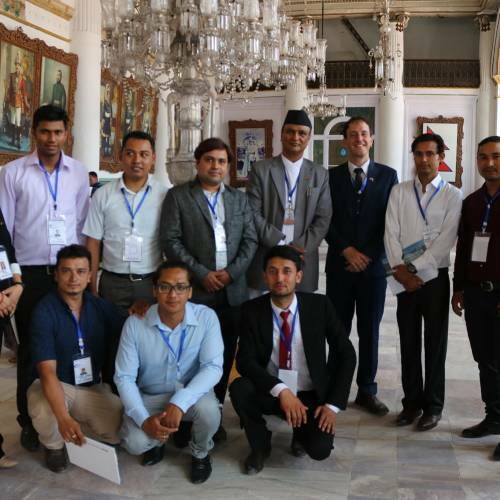 Nonprofit engineering experts Miyamoto Global Disaster Relief conducted the needed repairs and seismic strengthening under the supervision of Nepal’s Department of Archaeology after severe earthquake damage and deterioration. 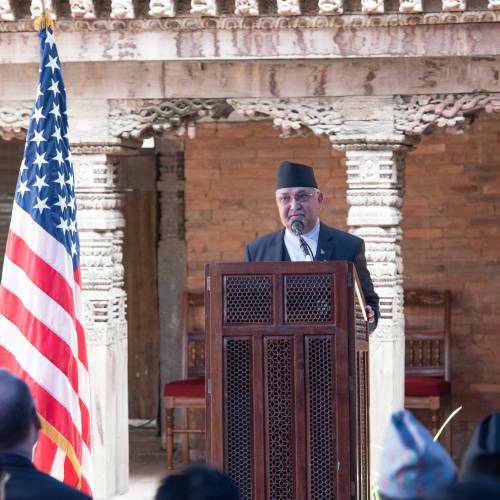 A magnitude 7.8 earthquake in 2015 struck Nepal causing widespread damage. It destroyed over 600,000 houses and buildings and nearly 9,000 people were killed. Many heritage buildings were damaged, including the historically and culturally significant, 110-year-old Gaddi Baithak. 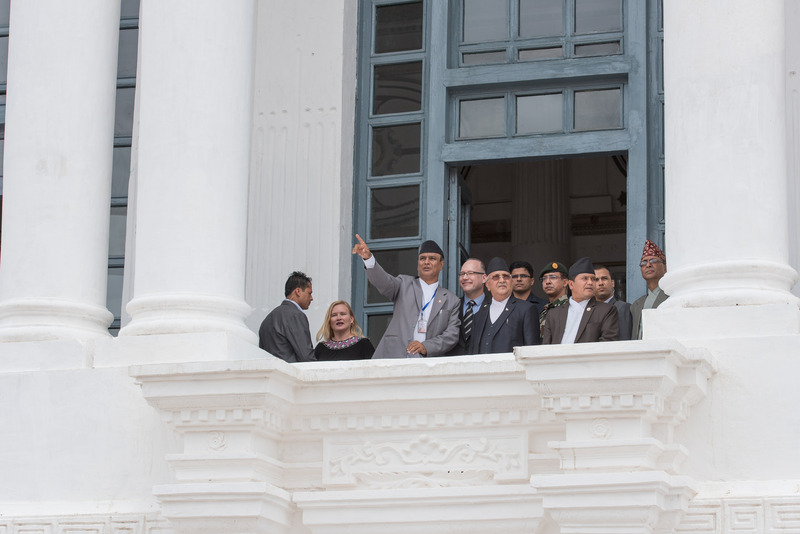 Built in 1908, the Gaddi Baithak is a neoclassical Rana-era building where Nepal’s kings once ruled and conducted affairs of state. While damage to the Gaddi Baithak was extensive, engineers determined that it was repairable and could be structurally strengthened. Per UNESCO requirements, traditionally available materials such as brick, wood, mud and lime were used. 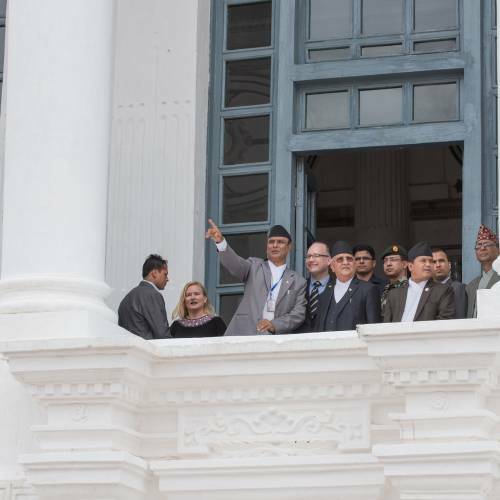 The resulting beautiful building was built back better and stronger and is a model for other such projects in Nepal and throughout the world.